This Nostalgic Art Mint Box Harley Davidson logo Eagle is a beautiful small tin of steel sheet metal with an image embossed lid. 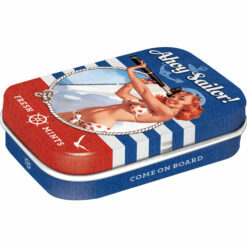 Nostalgic Art mint boxes are beautiful small tins of steel sheet metal with an image embossed lid. 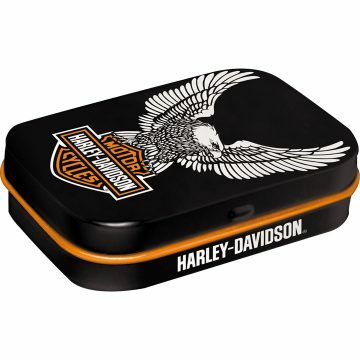 This Nostalgic Art Mint Box Harley Davidson logo Eagle has an elaborate design with eye for detail. You’ll be surprised at the high level quality. The box is filled with peppermint sweets. 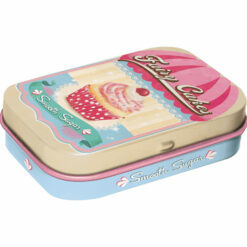 You can refill this mint box with small bits and pieces in the future, from sweets, medication to coins. 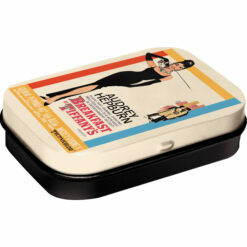 This Nostalgic Art mint box is 6 x 4 x 1,6 cm in size. It will easily fit in every trouser’s pocket. The peppermint sweets are manufactured in Germany. sorbitol, flavourings, sweeteners: (aspartame, acesulfame K), anti-caking agent: magnesium salts of fatty acids, vegetable oil. Excessive use can have a laxative effect. 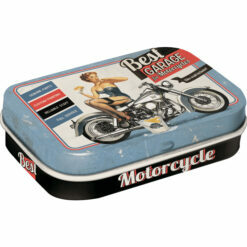 Contains a source of phenylalanine. 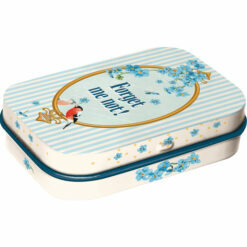 Nostalgic Art Mint Box Forget me not!